How is quality created? What does it take to implement quality? It takes a vision that is unique to the norm. It takes dedication toward change and embracing it. It takes a will to challenge the standards and solve problems. We have designed a unique concept to test each major component of a transmission through the production process. 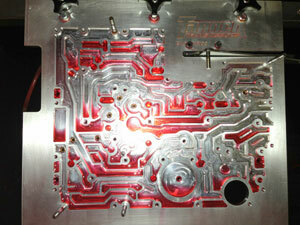 The concept relies on software and electronics developed in-house by Tanner Transmissions®. A transmission in the build process has it's valve body tested, case unit-tested for leaks, solenoids tested, and the full transmission is dynadrome tested. All of these machines have been automated and are controlled via computer systems. The valve body of a transmission is the control system for the transmission. The computer in your vehicle sends signals to the valve body which moves valves and directs automatic transmission fluid into different areas of your transmission causing it to shift. Delays in movements in the valves in the valve body, or leaks can cause shifting problems in your transmission. 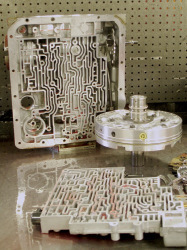 Tanner Transmissions® utilizes an Answermatic® machine to test the valve body's performance. The Answermatic® injects ATF into the valve body while it is operated in the machine. Some of the better transmission shops may have valve body test machines, however, we've taken it to an entirely new level. We've fully automated our Answermatic® machine and developed the statistical software to calculate very precisely if the valve body is working properly. There is no guessing with our system as to whether the valve body will deliver the proper amount of ATF into your transmission correctly when commanded and most importantly, in the proper amount of time. The unit test is designed to look for leaks or bad seals after the internals of your transmission have been put together. Automatic transmission fluid is injected into the transmission at ports where the valve body delivers it's hydraulic signals to the transmission. A leak in the path from the valve body into the clutches and bands which shift your transmission into different gears can cause slipping, delays in shifts, or a multitude of other problems. This test insures that the path for the hydraulic commands sent from the valve body will work properly. 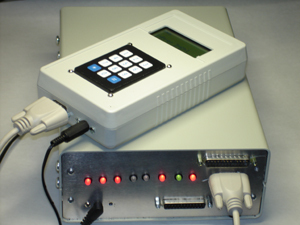 To perform our unit tests, we have designed a system very similar to both our answermatic test and dynadrome test. The test is completely automated by a computer system to insure that each test is performed accurately. Performance statistics of your transmission are compared to a statistical calculation of known good transmissions in our database system. The Automatic Transmission Dynadrome is used to test transmission performance. It can test the transmission under heavy load, like towing a boat or trailer. The dynadrome is the final test before being shipped from our production plant back to the retail location. A dynadrome is a machine with a high-powered electrical motor driving the transmission. The transmission is placed on the machine, and driven at normal speeds, heated up, and driven at freeway speeds to ensure proper operation at conditions similar to what it would experience when it is back in your car. The performance of your transmission on the dynadrome is recorded by our proprietary software and displayed to our trained Tanner Transmissions® technician. The performance of your transmission on the dynadrome is compared every 1/1000 of a second through every upshift and downshift your transmission makes to our statistical calculations based upon known good transmissions. Currently, we have tested over 7,800 transmissions on our system and have over 125 million records of performance data of transmissions in our database. There simply are no other transmission shops that have this kind of a resource to validate the performance of your transmission before they deliver it to you. Research and Development in a Transmission Shop? 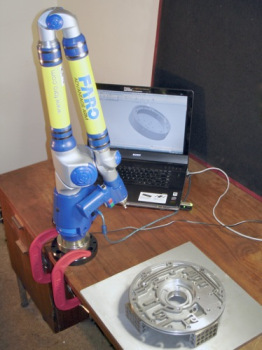 Faro® arm being used to design a new tool to repair Ford E4OD and 4R100 pumps found commonly in Ford trucks. Developing innovative solutions to improve the performance of transmissions takes technology. We have invested in some of the best equipment to provide improvements in our production process, and the tools to invent new solutions to problems. Our Faro® arm is an exciting technology. Pictured on the left, the arm allows us to build detailed three-dimensional models of parts and design ways to repair the parts. We developed and manufactured a holder for Ford pumps to be used on our CNC lathe. This new holder allowed us to develop a software program to run on our CNC lathe that repairs the Ford pumps in-house and returns them to OEM specifications. Because of this invention, we can repair the pumps in-house at exceptionally high quality and at a lower cost than is possible in a traditional transmission shop. The Intellishift™ is a revolutionary new electronic transmission shifter designed and built by Tanner Transmissions®. Modern automatic transmissions are controlled and shifted by computers in a vehicle. The computer in the vehicle sends signals to the electrical components in your transmission and cause it to shift gears. The Intellishift™ bypasses the computers in vehicles and allows Tanner Transmissions® technicians to shift the vehicle and isolate any command problems in a vehicle. 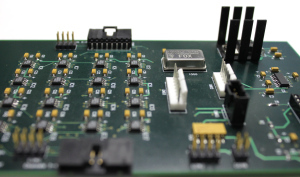 In addition, the Intellishift™ was designed to store any of the proprietary signals sent from the vehicle to the transmission to the Intellishift's onboard memory. This information is then utilized to test the transmission on the answermatic and dynadrome. Essentially, the Intellishift™ allows your transmission to be driven just like your vehicle drives it while on our quality control equipment in the production center. While other transmission shops may have an electronic transmission shifter, the Intellishift™ is more flexible. Allowing us to make adjustments in-house as new transmissions hit the market and is able to handle today's most advanced transmissions. In addition, designing the Intellishift™ in-house has provided us with a wealth of information to draw from about the complicated computer control systems in today's more advanced transmissions. Our CNC mill manufacturing a valve body test plate designed by Tanner Transmissions® to test ZF5HP19 transmissions used in BMW, Audi, and Volkswagen vehicles. All engineered and manufactured in-house. 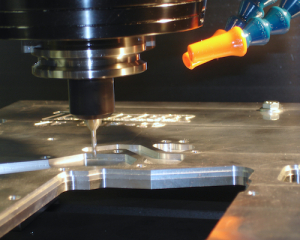 Our CNC, or computer numerically controlled, machines are used to manufacture new parts, tools to test transmissions, or rebuild transmission parts to OEM specifications. Do most transmission shops have a CNC machine to accurately repair worn parts? The answer is no. We've invested in these amazing machines as a way to design new tools to improve the quality of our transmissions, and to very precisely repair worn transmission parts. A computer program is developed in a language the CNC machine understands, loaded into the CNC machine memory, and a trained Tanner Transmission™ technician simply puts the part to be repaired on the machine, loads the machine with the necessary tools, and presses "run". The machines take care of all the work changing tools whenever it needs a different one. The end result is a precision repaired part with repeatable quality because of the computer programming. This effectively eliminates inconsistencies due to human error when rebuilding a transmission part. If you've never seen a CNC machine run before, check out this video here. In the video demonstration, a plant is manufacturing the mold for the rubber sole of an athletic shoe. 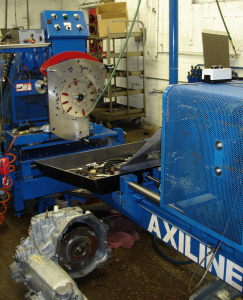 Our CNC lathe running a program to repair a worn Ford pump and return it to OEM specifications. 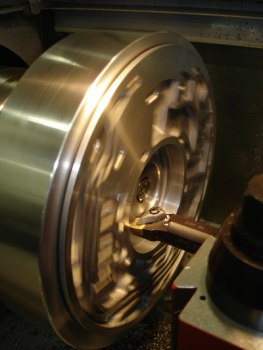 The holder for the pump on the lathe was invented and manufactured in-house by Tanner Transmissions®. Superior quality does not necessarily equal an exceptionally high price. The fact is quality happens through eliminating waste, errors, and old ways of thinking from the production process. By eliminating these types of waste, costs can stay down while producing a superior product. Because of the systems implemented at Tanner Transmissions® there is a cost advantage. By centralizing our production center, repairing parts very precisely on our CNC machines, building torque convertors in-house, and the quality control software systems developed here, we are able to keep our costs down which means more value to you, our customer. At Tanner Transmissions® you truly can spend less and drive the best. Copyright © 2016 Tanner Transmissions, Inc.